Selling volatility is a trading strategy that can make consistent profits for very long periods of time only to see those profits wiped out seemingly in the blink of an eye. Most markets are orderly most of the time. If that were not true, markets would not be able to fulfill their price discovery and liquidity functions. But periodically, markets become disorderly. When that happens, market moves are extreme and sudden. In those circumstances, traders who are short volatility are like insurance companies that sold hurricane insurance the day before a hurricane. They suffer huge losses very suddenly before they’ve collected much in the way of premiums. We’re now beginning to discover those firms that were hurt most badly in the recent market meltdown. 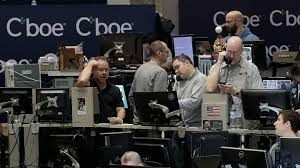 This article describes a $500 million hedge fund that lost 82% of its value in the past week and closed its doors to new investors. Presumably, the fund will unwind what’s left of its book and distribute pennies on the dollar to existing investors before shutting down the fund for good. The fund described in this article is not alone. Gillian Tett, writing in the Financial Times, tells the story of a trader who started with $50,000 and made $4.2 million selling volatility on a leveraged basis over the past 2&frac12; years before losing everything over the past week. No doubt more such stories will emerge in the days ahead. The reality is that complacency breeds complacency and low volatility breeds lower volatility until suddenly and violently the market shocks investors out of their collective daydream. The lesson for investors is stay diversified, stay alert, don’t use leverage and don’t sell more volatility than you can afford to lose.